Access: On the Menu bar, click Project > GCP/MTP Manager..., on GCP/MTP Table, click Remove Points. When clicking Remove Points the GCPs/MTPs/Check Points that are displayed on the GCP/MTP Table can be removed. One or multiple points can be selected from the GCP/MTP Table and be removed by clicking Remove Points. 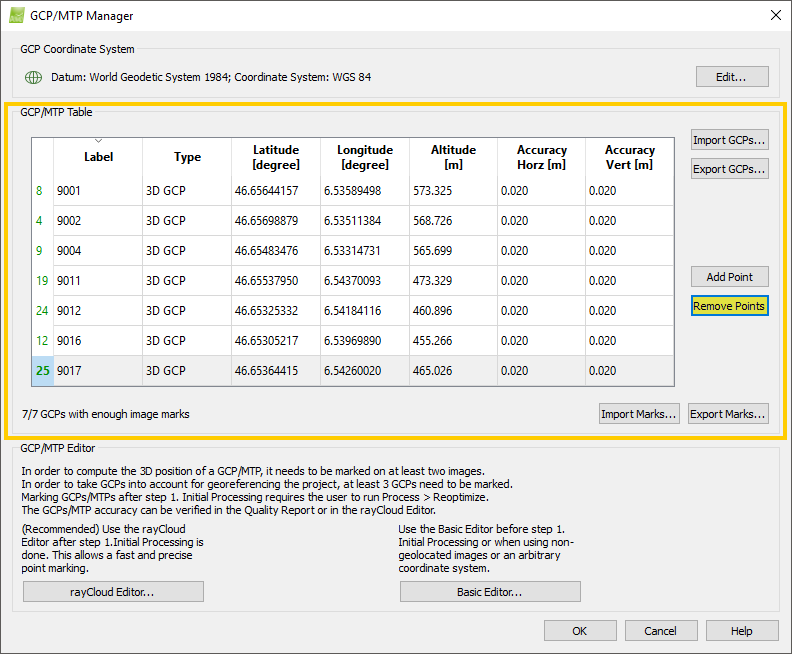 For more information about how to select a point on the GCP/MTP Table: GCP / Manual Tie Point Table.